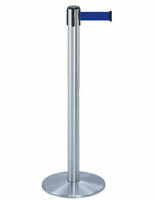 This stanchion with 2 literature pockets and sign holder has a gray belt. 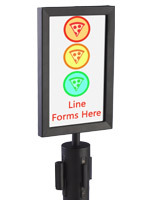 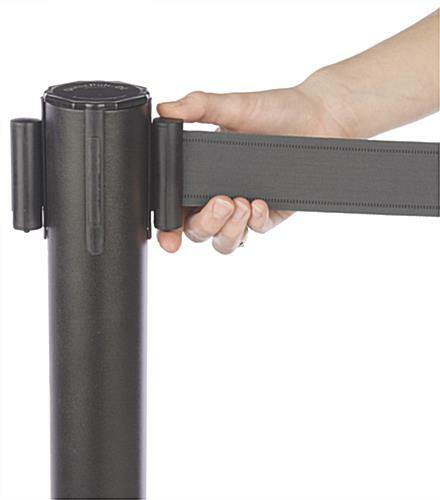 The band extends up to 6.5 feet and is retractable, providing quick and easy access for event staff. 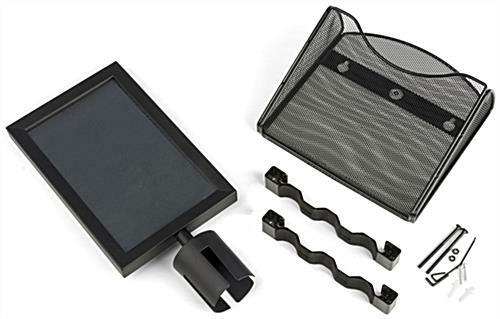 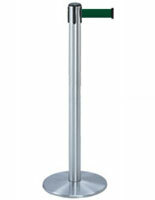 Each black stanchion includes a double-sided metal pouch for magazines and brochures. 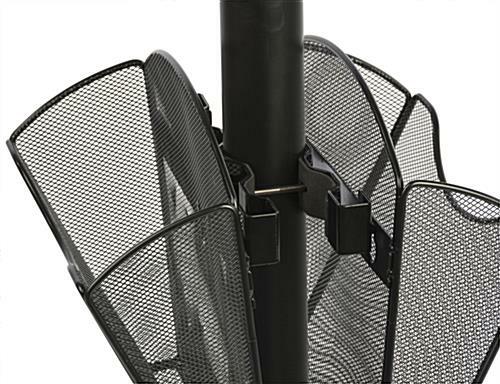 Customers may also use the basket to store registration forms and informational packets at trade shows and expos. 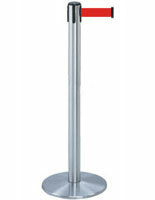 The stanchion includes a two-sided frame for advertising graphics. 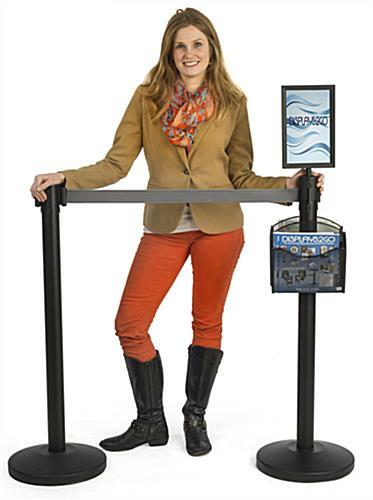 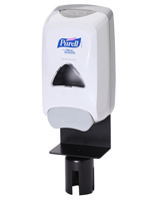 The retractable band is great for expos and provides easy access for employees while maintaining neat and organized queue lines for event attendees. 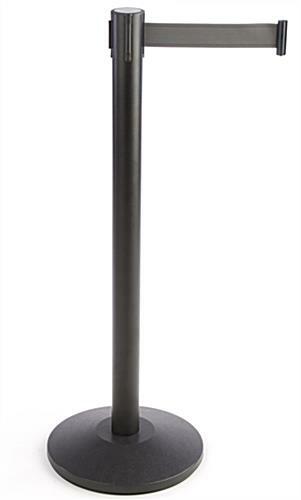 Ideal for any environment, the pole and accessories have a neutral black finish that is well suited for a range of industries, from bank entryways to trade show floors! 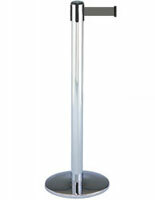 10.0" x 10.0" x 0.75"